How We Watch Hockey at The Point - The Point Data-driven hockey storytelling that gets right to the point. Here at The Point, we have a different perspective on watching hockey. Being analytics-driven, we are watching specific metrics for teams and players that give us hints whether they are playing well (or not) and if that play is sustainable or just a flash in the pan. The playoffs are here – and this is the perfect time to take your hockey watching to the next level. We have put together this guide on how we watch the game and what we’re looking for. Maybe your team hasn’t made it, probably because of not caring enough about these specific things, so this guide will give some hints to the important details to pay attention to. We will be tracking these and publishing some key metrics every period during the playoffs. If you follow us, you know we’re always talking about the slot and inner slot. Counting shots has been a traditional stat for a long time – but we know that a team’s total shots in a game have nothing to do with winning! A clear shot from the point, even a 100-plus MPH Shea Weber blast, isn’t going to beat an NHL goalie – this is not a reliable offensive strategy. Statistically, shots from the edges of the zone just don’t matter when you’re choosing the winner of a game. At The Point, we look at slot shots and inner slot shots. Shots from the slot are 4 times more likely to score than shots from outside. Inner slot shots are even more valuable, averaging over 20% shooting percentage. As much as on offence, if a team’s defence is giving up too many shots in this area, they are far more likely to be scored on. Seems obvious, but not something that’s being actively tracked in the media. Look for the team that dominates the inner slot shot battle, and you’re very likely to spot the winner. Chances to score are created in a few different ways. Chances are classified as being off the rush, off the cycle, off the forecheck, second chances, and more. Knowing each team’s strengths and preferred tactics can help understand how to defend them by disrupting their favourite approach. Look for tendencies in each team’s offensive approach, and how their opponents defend it, and look to exploit those that work. Controlled entries lead to better possession and scoring chances – some of the biggest stars in the game are dominant in this area, and it’s not by accident – they know the importance of keeping possession of the puck entering the zone. Teams that gain entry with possession score at a higher rate, it’s as simple as that. If your team is conceding possession at the blue line by dumping and chasing, they’re going to need to work a lot harder to get the puck back and set up in the offensive zone. Scoring chances usually come quickly after controlled entries too – most occur within five seconds, so don’t look away when a team gains the zone with possession, something should happen right away. Look for carrying the puck or passing to a teammate when entering the zone, leading to a scoring chance. One for the goalies now, kind of the corollary item to inner slot shots: just because a goalie stops a lot of shots doesn’t mean he necessarily had a great game. Corey Crawford’s 52-save shutout against Montreal ranks as the best goalie performance of the season not because it was a shutout, but because he faced a ton of difficult shots. Shots from the blue line or perimeter of the zone, unscreened, don’t have much chance of going in – we don’t expect them to. Shots from the inner slot are much more likely to score – we expect goals to come from there, as proven by analytics. An actual calculation of expected goals (xG) is more sophisticated than that, but the general premise is close enough. Goaltenders can turn a game around by stopping a great chance, very likely an inner slot shot. They can also cost a game by giving up a goal on a long shot that wasn’t expected to beat them. As a metric, looking at the goalie’s actual goals, how many were really given up, compared to their expected goals tells us much more about having a good game than just raw shot totals. Look for the goaltender to take away expected goals and not give up any softies – a negative value for Actual to Expected means the goalie added value in the game. 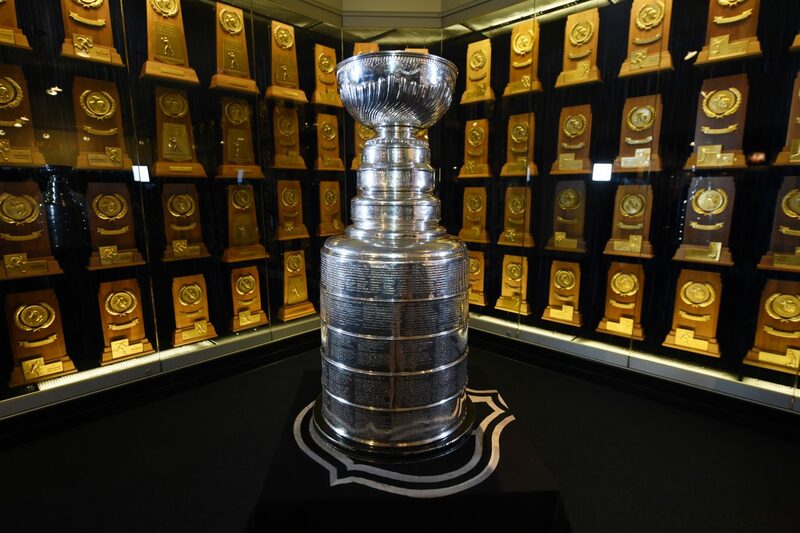 All of these points are even more important in the playoffs – find the team that wins the slot shot battle, defends their opponent’s favorite offensive approach, manages the puck going into the zone, and gets great goaltending where it matters (in the slot! ), and you’re likely to find a Stanley Cup winner. 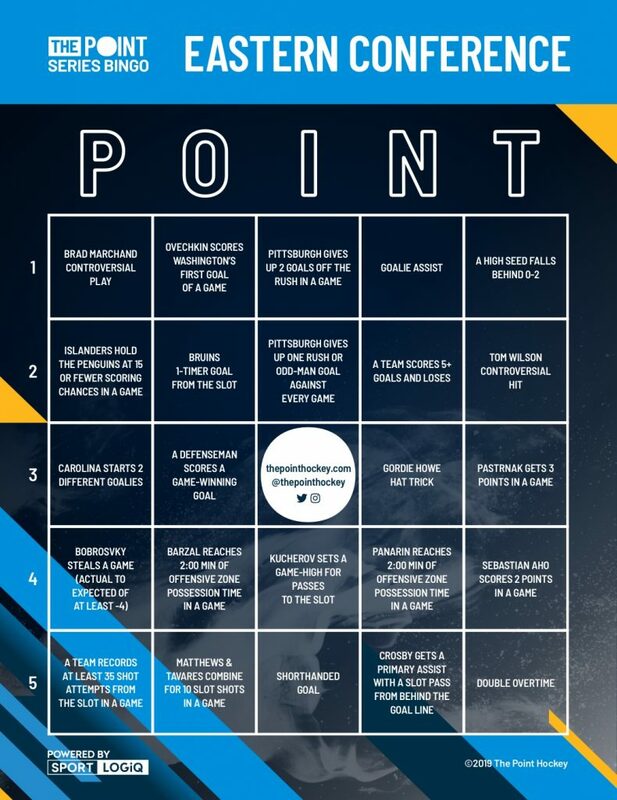 Take your hockey watching to the next level and watch out for these points on our bingo cards. 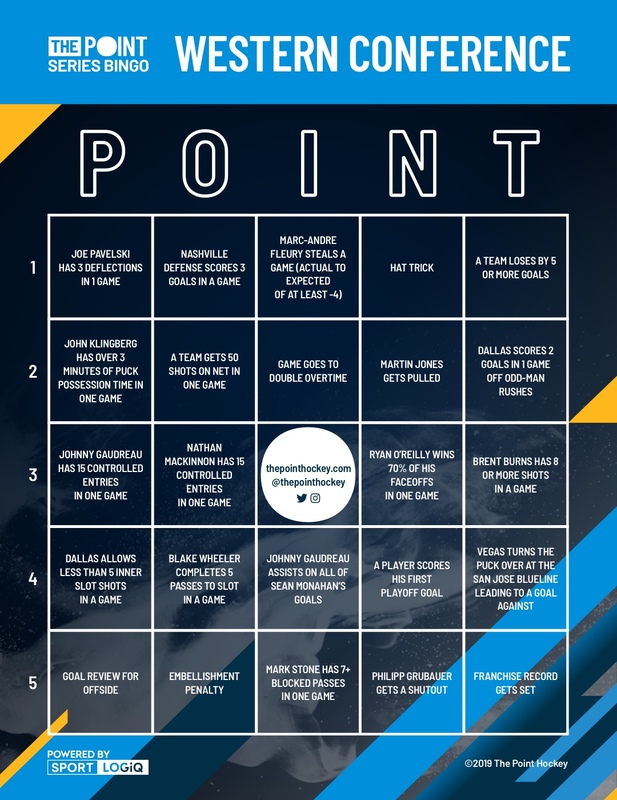 Will the Western Conference or Eastern Conference get a bingo first? Tell us on social media.